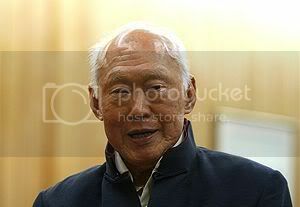 In a Straits Times report on 10 July, five out of the nine new Nominated Members of Parliament (NMPs) list Minister Mentor Lee Kuan Yew as their favourite politician. United States president, Barack Obama, is second with two votes of confidence, with one each for former South African president, Nelson Mandela and another US president, Benjamin Franklin. Nominated Members of Parliament are said to be selected because they can provide alternative views. Hopefully, their seemingly deep admiration for the Minister Mentor will not prevent them from doing so.